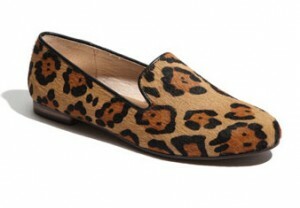 My new soft spot : animal print shoes. I think I found the perfect pair. Good quality, perfect color and in an acceptable price range. I usually wear a lot of black during Fall and Winter. Simple straight trousers, 3/4 double breasted jackets and blazers, uni or striped tees and pullovers. So I'd like to have some accessory that stands out ; showstopping shoes - bags and scarfs are perfect to complement my personal style.